The Connemara Mussel Festival 2016, set in the idyllic village of Tullycross in the Renvyle Peninsula, was yet again a resounding success and it truly epitomises a festival which celebrates community, gastronomy and culture of the West of Ireland. 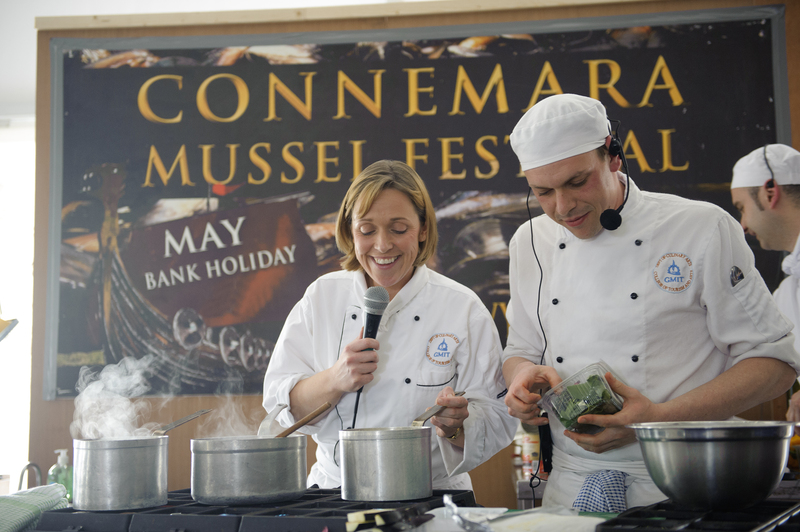 The mussel (farmed locally by Marty Nee), as always was the star of the show and featured in each cooking demonstration in the festival live kitchen. 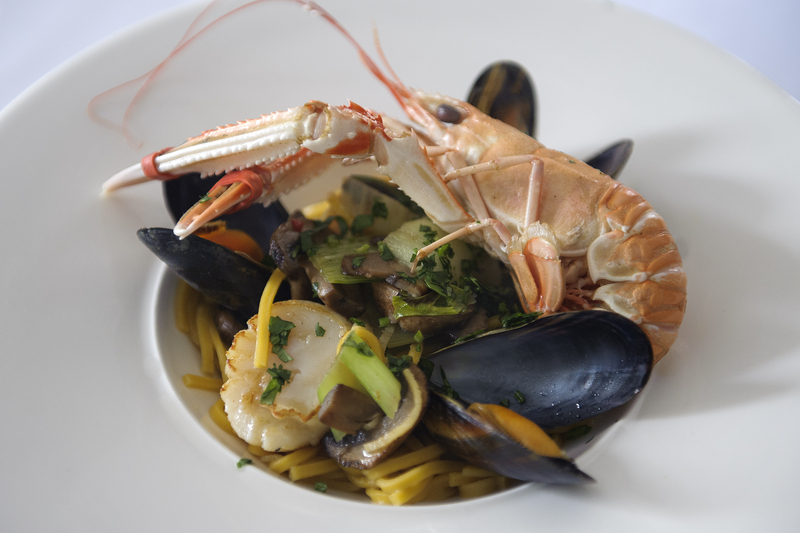 Visitors to the festival were found in every nook of the acclaimed Paddy Coyne’s pub, tucking into large bowls of mussels and freshly caught langoustines, all served with homemade brown bread and the customary glass of stout. Irish dancers, story tellers, musicians and indeed magicians entertained the crowds while in the local community centre a busy “Made in Galway” artisan market displayed the finest of local produce and hand made crafts. 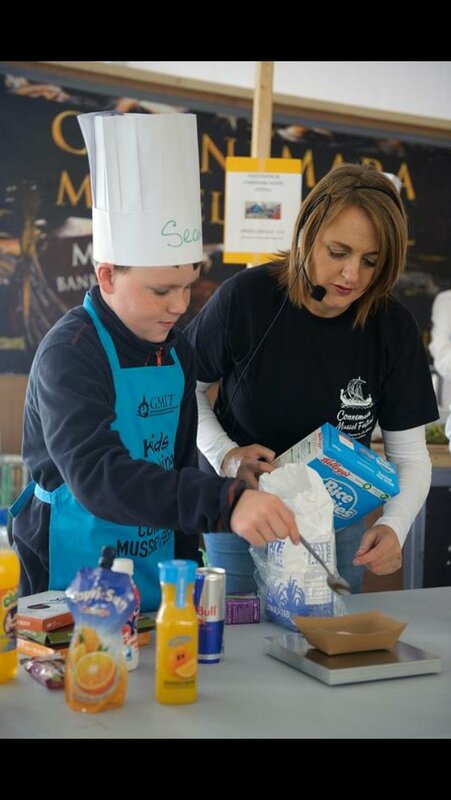 Chefs from around the region, participated in cookery demonstrations featuring local artisan produce, in particular locally sourced fish and shellfish, which was in abundance over the weekend. The fun factor was also evident with the “celebrity cook-off” proving a great hit! Dave O’Connell, Editor of The Connacht Tribune duelled with Neil Molloy of Galway Bay FM, it was Lobsters versus Crabs! Education and Health for children played a significant role in this year’s festival with staff from GMIT’s College of Tourism and Arts hosting two workshops for children entitled “Sugar Crush”, in which children and their parents were educated on the hidden sugars that exist in our larders and shown how to cook healthier alternatives for the sweet tooth! The weekend closed with a lavish seafood buffet hosted by Ronnie Counihan and prepared by Tim O’Sullivan and team at the fabulous Renvyle House Hotel where some local Connemara Lamb was also served for the carnivorous palate! A superb weekend was had by all and a big congratulations to the hard-working voluntary festival committee. For more information or indeed to view a full gallery of photos of the weekend check out https://www.facebook.com/connemaramusselfestival or follow @connemaramussel on twitter, but more importantly, set your diary for 2017, May bank holiday weekend.